Sky has announced that Sky Mobile is launching today, offering up a flexible mobile service with some interesting additions for those that already subscribe to the company’s television offering. After announcing the service late last year, Sky has wasted no time in rolling out Sky Mobile. Price-wise, for Sky’s existing subscribers the offer is significant, with only the data plans costing money and calls and texts free. And, for the first time, Sky+ TV customers can sync their Sky+ recordings with their phone. Interestingly all customers get the ability to roll all of their unused data into a ‘piggybank’ where it can be used whenever needed for three years. 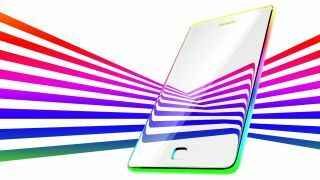 “Right now mobile contracts are inflexible and confusing and we all know people are buying more data than they need to avoid those extra charges", said UK chief executive Stephen van Rooyen. “With Sky Mobile we’ve provided the solution, offering flexibility and great value so our customers’ unused data will be theirs to keep and they can create a plan that’s right for them, month to month. The network is an MVNO - using O2’s existing infrastructure - with 1GB, 3GB and 5GB plans priced at £10, £15 and £20 per month respectively. But, as we said, those not also subscribing to Sky TV will have to fork out extra for minutes and texts.